Editor's opinion  Anna Belous Hosting Expert (4 years' experience) Currently working in domain department. She knows the ins and outs of a hosting company and thus, exactly knows which factors matter whilst choosing a perfect hosting. A simple and pleasant looking website interface. There are a few very useful FAQs under each plan description. The prices are lower in comparison with other hosting providers. Also, all packages include a free one year domain registration, if you purchase it for 12+months. These are the available TLDs : .xyz, .com, .info, .net, .online, .store, .tech, .site, .website or .space. Additionally, you get a website builder with all shared hosting plans. What’s more, weekly backups come with each and every package. Moreover, Hostinger offers separate CMS (such as WordPress or Drupal) and e-commerce hosting (Magento, Joomla). It has all of the features of shared hosting plans, however, there are storage and bandwidth limits. These packages are designed for a specific purpose and thus, you don't have to spend additional effort to set them up. Furthermore, the company provides free hosting. You can use it as long as you wish, there are no time limits. Of course, the package resources are slightly more limited than the shared hosting ones, however, you can upgrade to any package any time you want. As for VPS packages, Hostinger offers quite average packages. The only attractive thing is the current discounted price. Without it, it looks like they are overpriced as the resources offered are fairly weak. The company does not offer any trial periods. However, they offer a 30-day money-back guarantee for all of their hosting packages. Moreover, they offer free hosting without any time limitations which is described above. It’s possible to purchase any hosting package for 3, 12, 24 or 48 months. Moreover, there are no upgrade fees. If you decide to upgrade your package while it’s still active, all of the not used time will be credited to your new hosting package. The company provides their own custom control panel for free with each hosting package. It’s quite intuitive. In addition, it allows you to manage all of your products and services in one place which is very comfortable. Also, you are welcome to install any other Linux-compatible control panel or use the package without the panel, if you purchase VPS hosting. VPS hosting packages have their usual storage, RAM and bandwidth limitations. The maximum values are the following: 160 Gb SSD storage, 16Gb RAM and 6 TB of bandwidth. As for shared hosting packages, all of them have certain limitations, despite of the fact that unlimited disk storage, bandwidth, email accounts and websites are stated in the description. For example, you are allowed to connect only 100 websites and you can use no more than 1,000 tables per database and no more than 1Gb of storage per database. Moreover, in case your account exceeds 10Gb, it will be excluded from weekly backup. What’s more, you are limited to maximum of 25% of one CPU core and 512MB of RAM usage. Additionally, it’s prohibited to use your website for file sharing, commercial audio streaming (more than one or two streams), anonymous or bulk SMS gateways and Bittorrent trackers. Each package includes hotlink and brute force protection, malware and virus scanning, script injection, CDN and anti-DDoS protection. You can purchase an SSL certificate separately at a fairly low price - $12. It’s a one-time fee, not a recurrent one. CloudLinux runs on Cloud and Shared Web hosting. For VPS hosting packages, you can choose from one of the following operating systems: CentOS, Ubuntu, Scientific Linux, Fedora, OpenSUSE or Debian. Windows is not supported. Quick, accurate and proactive. You get the feeling that they strive to help you. Moreover, Cloud hosting is fully-managed and VPS hosting is semi-managed. It means that you can get a solution to almost all of your problems, including but not limited to software maintenance, install and diagnosis, server monitoring and update. A good solution for small or medium sized businesses as the shared and specified (e-commerce and CMS) packages’ price-quality ratio is excellent. Though, the VPS hosting plans are overpriced. The company offers low resources at a fairly high price, so we cannot recommend to use their VPS hosting packages. Hostinger is running a SUMMER SALE, offering 90% discount for every Shared hosting plan, starting at 0.8$ for a Single Shared hosting plan. 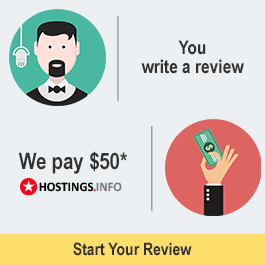 What is written about in reviews of Hostinger.com most often? - The performance is quite good. Websites loads as fast as one second. - They have a user-friendly Control Panel, even to an elderly. - They also offer protection against XSS, DDoS, malware, script injection, brute force and other automated attacks on all hosting packages. - They have knowledgeable and friendly support. - Waiting time isn't good. Could take up to 10mins for you to get a hold of a chat rep.
- The money back guarantee only covers the hosting so if you bought few domain names, you can never get the registration fees back. If you plan to move the domains elsewhere, you'd have to pay for the renewal of the domains upfront in the new hostings end so it would seem like you'll be paying double. I suggest getting just one domain while you're on your first 30 days. If anyone search for cheap VPS hosting then I will hardly suggest Hostinger. They provide $ 3.95 /mo VPS hosting. I using their $ 3.95 /mo plan for 7 months. Its a great service for this price. Their support is very helpful. http://lawyersinvero.com We checked the site, at the moment of publishing the review, it was located on this hosting. I had an issue today (my fault) assigning an SSL Cert to an incorrect domain. I was able to contact support via chat window available on the SSL Page itself. I was almost immediately greeted and the tech recognized my problem right away. In less than 5 minutes from the start of my chat, my problem was not only resolved but additional help was provided to me for additional domains that saved us both a tremendous amount of time. I will continue to recommend Hostinger to my groups and boards. Well done. http://desuperheroesweb.online We checked the site, at the moment of publishing the review, it was located on this hosting. 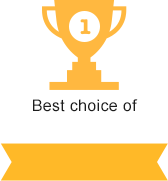 I am impressed with the customer service, they respond very quickly and they help you to solve the errors you have. http://europronostici.com We checked the site, at the moment of publishing the review, it was located on this hosting. Best hosting ever. Seriously, they have the best customer care in the world, solved everything I asked them with patience and courtesy. Of course the hosting itself is very good, extremely fast and reliable. http://livefutboll.hostingerapp.com We checked the site, at the moment of publishing the review, it was located on this hosting. I've used the free version (000webhost) for a while and decided to go full throttle and i have not been disappointed. The support is fast, helpful, available around-the-clock and courteous. I highly recommend them to new or experienced users. http://www.edudal.tk We checked the site, at the moment of publishing the review, it was located on this hosting. I agree with the hosting service hired to Hostinger.com. They provide a personalized technical assistance service, where they propose and solve the problems raised with a very efficient service. As for the hired hosting service, I must emphasize the ease of use of the CPanel and the functionalities it provides. Very useful and ideal for small and large web ventures.